Plastic coating provides an insulative and protective cover for materials such as electrical components, wire forms, handles of everyday tools and sports equipment, medical equipment etc. During the process, dip molders lower objects into a vat of molten plastic where the plastic adheres to the surface of the object. A primer may be applied to the surface of certain materials prior to dipping to ensure ideal coverage. Plastic coatings can be as thin as .25 inches but are often made thicker than that. Dwell time is the length of time an object is immersed in plastic for, and usually the longer it is immersed for, the thicker the layer of plastic coating is. The coated object is then removed slowly from the vat to avoid surface irregularities. Oven temperature, dip speed and immersion times are all variables that affect the final quality of the coating. 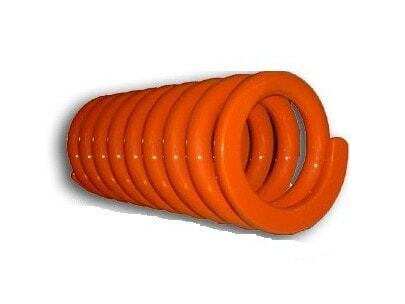 The two types of plastic dip coating are cold dip coating and hot dip coating. Cold dip coating is used for thinner applications of plastic coating, whereas hot dip coating is used for a thicker layer and requires an object be heated before immersion. Due to the nature of plastic manufacturing, dip molded plastic coatings can be applied to any object that is able to withstand the high temperatures of molten plastic, and is able to fit into a vat. Manufacturers are able to adjust color, thickness, texture, material choice, etc according to desired specifications. Coating materials are used for both decorative and protective purposes. Plastic, or polymer coatings, are used to insulate electrical wires and components to reduce the risk of shock or fire. The coatings seal the wires from moisture and dirt and from direct contact with the people handling them. Plastic coating also improves the corrosion resistance of objects such as fencing, wire hangers, outdoor metal hooks and accessories, and thus increases the lifespan of these objects. 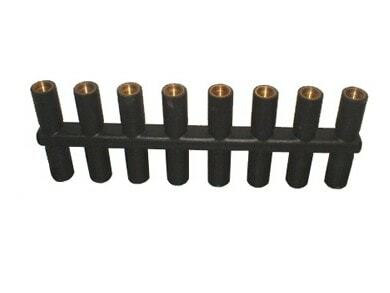 It improves the comfort and grip of numerous machine and appliance handles, and adds the benefit of wear and scratch resistance to these frequently used objects. Plastic Coating Plastic coating is the process of using a molten polymer or plastic to provide a protective covering for manufactured components. Although there are other methods of plastic coating, dip molding is the most common method, and is more efficient and cost-effective than others. The most common material used in dip coating is plastisol, a polymer which is liquid at room temperature and solidifies permanently when heated.